Earlier we saw the new Samsung InTouch, which is an add on camera for your HDTV and now Samsung has introduced a couple of new WiFi based cameras, the Samsung WiFi SmartCam and the Samsung Video Baby Monitor. Both devices can be connected to WiFi, and they can then be viewed through the web on Samsung’s SmartCam website, they are capable of capturing 640 x 480 video in H.264 at 30 frames per second. 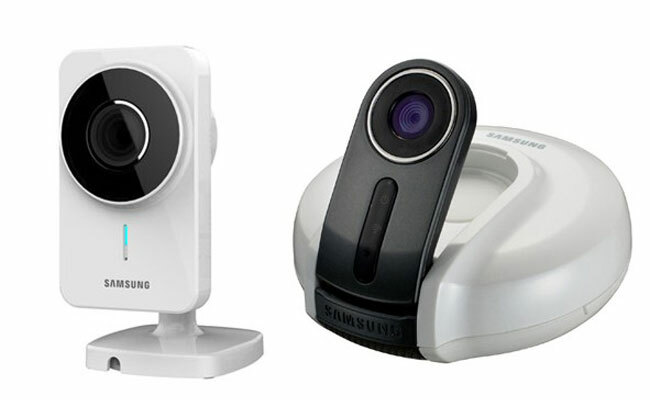 Both of these new WiFi cameras from Samsung will go on sale in March 2012 and they will retail for $129.99 each.